What a ring! What a shade of blue! Russian conglomerate World of Diamonds just unveiled an incredible blue diamond ring. 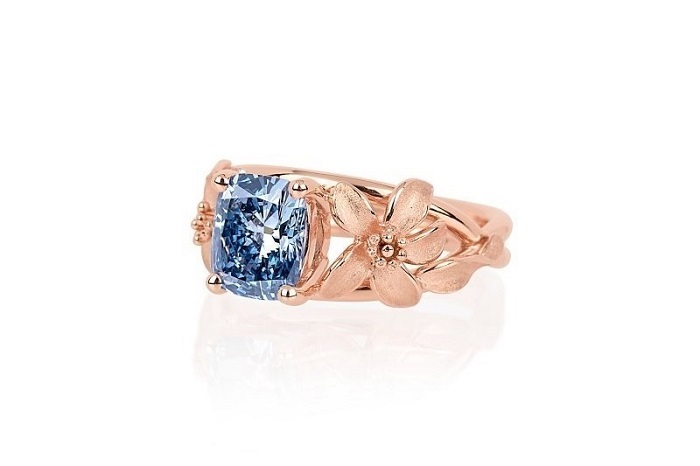 Their 2.08 fancy vivid blue cushion shaped diamond is set in a platinum setting and plated in rose gold, and is named ”The Jane Seymour” Diamond after the famous Bond girl. 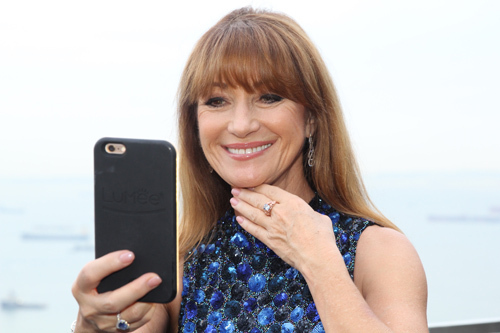 The ring celebrates the illustrious career and philanthropic efforts of Jane Seymour, an accomplished actress, producer, painter, businesswoman, philanthropist and Officer of the Order of the British Empire (although it is unclear whether the funds from the ring will go toward philanthropy or to WOD).